Not having a credit card could make it harder to build a good credit score, but there are sometimes very good reasons not to get a credit card or to at least put it off for another time. For the first time in history, student loan debt has outpaced credit card debt. Recent graduates leave college strapped with tens of thousands of dollars in debt. With monthly debt payments well into the hundreds, it doesn’t make good financial sense to take on extra monthly bills. Likewise, people with mortgage or auto loan debt may also decide to forgo credit cards until they’ve reduced their current debt obligations. People with bad spending habits put themselves at risk of serious financial trouble by getting a credit card. Studies have shown that people spend more with credit than with cash. 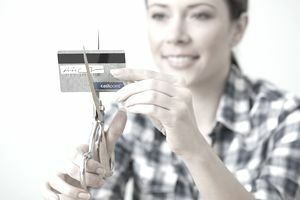 If you already know you have a tendency to go overboard with spending, it’s wiser to hold off on getting a credit card rather than get into debt troubles. If you only work seasonally, part-time, or not at all, you may not have enough money to pay a credit card balance. Getting a credit card without enough money to pay the bill can lead to debt troubles and damaged credit. When you have no experience with credit cards, you can easily assume that using a credit card is a cinch. There’s a lot more than that to using a credit card correctly than swiping it for purchases. Thankfully, there’s a ton of information on the internet that can break down how credit cards work and how to use them wisely. Once you understand how credit cards work, you’re in a better position to get a credit card and use it responsibly. If you make enough money to qualify for a credit card, but you already have too many bills, adding a credit card to your current obligations isn’t a great idea. Work on eliminating some of your bills and reducing your spending before you add a credit card to the mix. It takes a lot of self-control and self-discipline to use credit cards the right way. Without these skills, you can easily spend yourself into thousands of dollars in debt and ruin your credit history in the process. If you know you may not be able to control yourself with a credit card, making the decision not to have a credit card is the best thing for your financial future. There is a way to use credit without paying interest – by paying your balance in full each month. It takes a lot of self-discipline not only to pay off your entire balance month after month but also to ensure that you keep your spending at a level you can pay off. Plus, even if you intend to pay your balance in full each month, there’s always a risk that something prevents you from doing that. If you never have a credit card, you never run that risk. Surviving without a credit card at a time when electronic payments are taking over can be difficult, but there are some alternatives. You can use a debit card, which is tied to your checking account, in nearly every transaction where you’d otherwise use a credit card. A prepaid debit card, similar to a debit card but without a checking account, is another option, but beware of high fees. Renting a car or reserving a hotel can be more difficult with debit and prepaid cards. You may have to pay a higher security deposit or provide additional documentation. Check with the merchant prior to your reservation to find out what’s required based on your payment method.